I stumbled upon it about 6 weeks ago, give or take. It sounded cool so I added it to my "Things to investigate when time allows" list. Boy do I regret not having the time to do this sooner. It was such a rewarding experience. Install your new Drupal instance following a very simple Drush command. I have never seen a distro so complete that would actually download core Drupal, all the modules and even all the patches to those modules. They did it all so you don't have to. It's simply amazing. From clone to live no more than 10 minutes passed. I had to make some adjustments because of my LAMP stack, but very minor, like uncommenting the RewriteBase / from the .htaccess and making sure the writeable folders were actually writeable. Nonetheless, I had a beautiful Drupal instance in minutes rather than hours. This solution has many uses, but the one that would be a life saver for me is favors. If your friends or family members ever need a website, a really cool intuitive website, you MUST use this distribution. It's ready to be re-themed and out the door in a few hours not days or weeks. This baby packs over 130 modules and is ready for anything you might throw it's way. Among the most interesting and noteworthy modules we found save_draft, module_filter and date_popup_authored. After that most of the magic comes from Panopoly and most of the customizations will happen in the wetkit modules: wetkit_images, will place all the sample images and image styles for you; wetkit_pages will create some page handlers; wetkit_wysiwyg will setup a nice WYSIWYG editor for you; wetkit_demo places all the demo content; wetkit_wetboew takes care of all the administrative pages, basic views, default installation of menus (Menu Blocks) for WET, the integration of WET-BOEW's JS, the Menus + Menu Block Support, the Multilingual Boxes Support (soon to be replaced by Bean), the Metatag Support and the Panels Style Plugins. It comes with great support for panels (Panopoly), which means great layout flexibility for you site admins. Everything and admin will need to do will be at their fingertips and will show up in an overlay. Now it still needs some love to be 100% perfect, but all the details are minor. For example it could use a css rule to background-repeat: no-repeat on the .error class. It's hard to read error messages when a big red X circle is behind all the text. There were some errors at the end of the installation, something about fields and indexes. 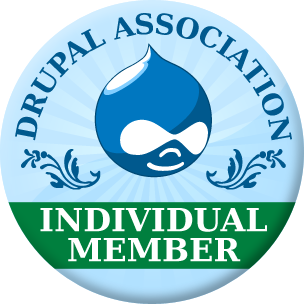 Roberto Montero Ortiz is an individual member of the Drupal Association, which fosters and supports the Drupal software project, the community and its growth. He also has an active role in the Drupal Community in Costa Rica and regularly contributes to Drupal Camps held in Latin America. Rob is also an Acquia Certified Developer, awarded with the Grand Masters title after completing his third certification within a year. Zend also certifies Rob's knowledge of PHP OOP skills, but at this point this block is getting a bit presumptious. Suffice it to say, Rob is competitive and competent. He's also a nice guy all around. Copyright 1998 - 2018 Rob Montero. All Rights Reserved. 20 years of enjoying the tech playground.